Heated Cabinets - G.A. Systems, Inc. Heated Speedline cabinets are designed to hold, display and serve pre-package food items. They are available in three lengths; 37”, 50” and 63”, two widths; 30-3/8” and 36-3/8” and two highs 34” and 31-1/2” for elementary age students. 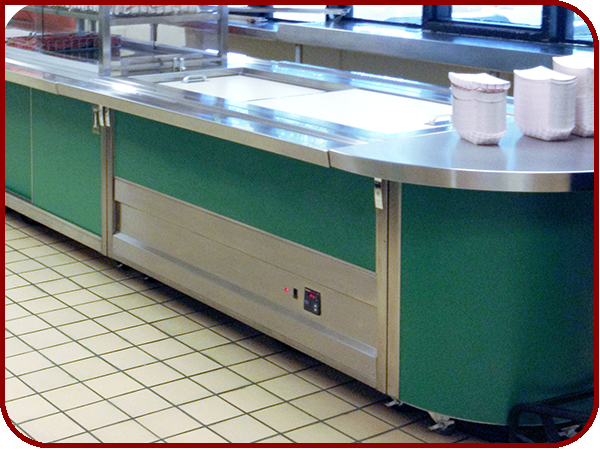 All cabinets are mobile, have sliding lift off design lids and a locking bar to secure lids when not serving. The stainless-steel interior wells are designed deep to accommodate stacking wire baskets. We recommend using stacking wire baskets to maximize the number of food items. The baskets provide space and allow the hot air to circulate to maintain required temperatures. The Speedline style of serving is designed for double-sided self-serving, faster service and increase participation. The digital controllers on our “Speedee-Serv” Heated Cabinets are located in a convenient, easily accessible area and are easy to read. Training staff and keeping staff trained can be a challenge G.A. Systems controller is easy to adjust, just press and hold the set button as you press either the up for higher temp or down for lower temp. 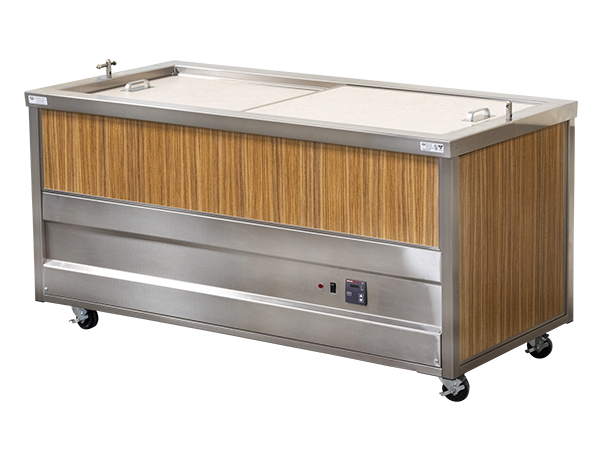 All our “Speedee-Serv®” Speedline Heated cabinets have two lightweight sliding lift off design lids. 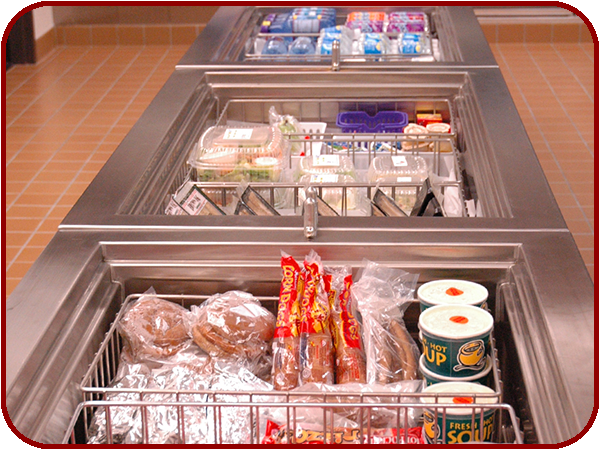 The lids are designed to be removed during serving and stored in our lid cart Lid Cart Information providing easy access to the hot food items during serving times.